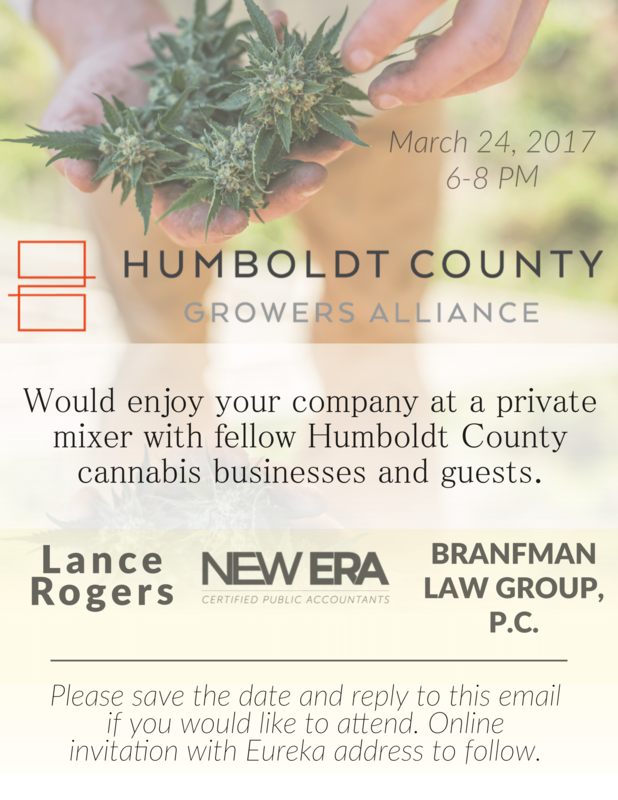 We want to remind you of the Humboldt County Growers Alliance mixer we’re sponsoring THIS FRIDAY in Eureka! New Era CPAs is teaming up with Branfman Law Group, P.C. and Lance Rogers, Esq. for a private industry mixer in support of the Humboldt County Growers Alliance on Friday, March 24th from 6-8 PM. Please join us for a night of drinks and upscale bites in historic Old Town Eureka with your fellow Humboldt County pioneers while learning more about what the HCGA is doing to promote compliance and license acquisition in the County. This event is FREE of charge for all invited parties.